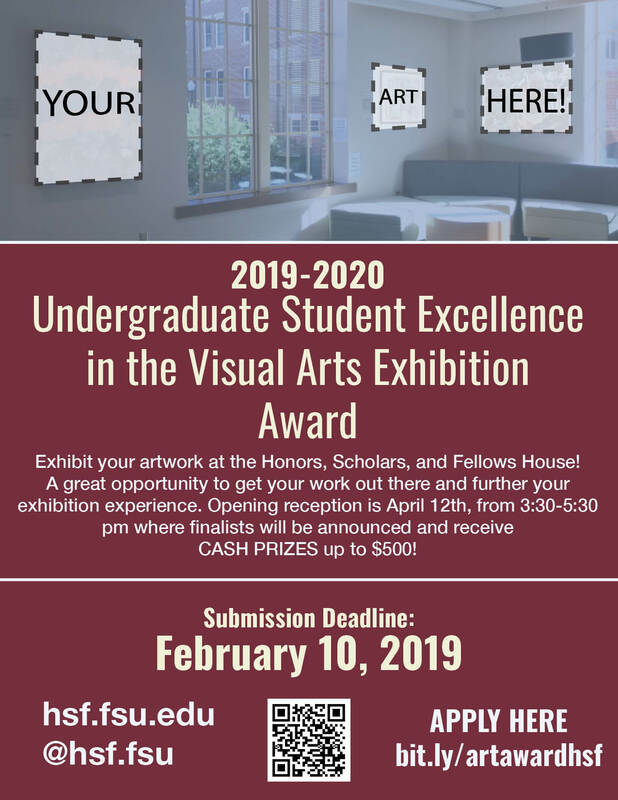 Exhibit your artwork at the Honors, Scholars, and Fellows House! A great opportunity to get your work out there and further your exhibition experience. Opening reception is April 12th, from 3:30-5:30 pm where finalists will be announced and receive CASH PRIZES up to $500! Submit your work NOW, deadline is in three days!